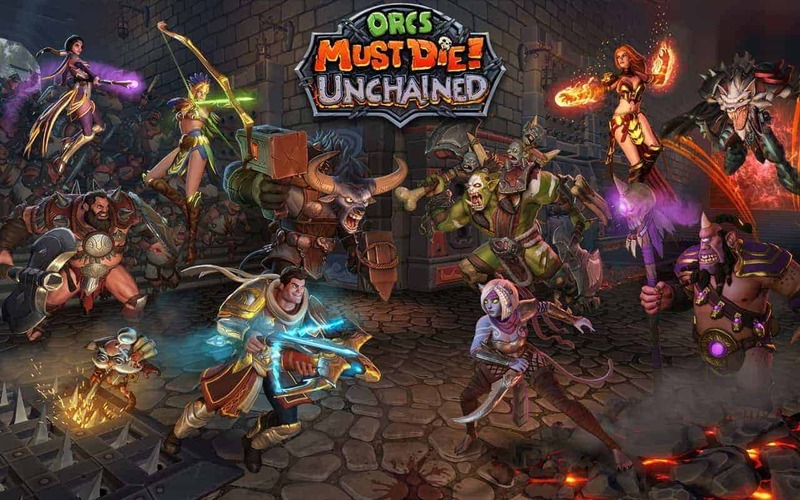 Robot Entertainment and Gameforge today posted the contents of the latest patch for their Closed Beta MOBA-esque MMO, Orcs Must Die! Unchained, introducing the highly anticipated debut of a new Hero alongside some epic new content and the usually huge list of bug fixes and improvements. Update 2.5 introduces Zoey, the Chaotic Apprentice, as the latest Hero to the games already impressive arsenal of characters. Zoey is a very powerful yet inexperienced mage. Her slow fire rate and unpredictable damage types can often be difficult to anticipate but the use of a single ability, Feebee’s Wrath, turns Zoey into a magic casting machine with huge increase to rate of fire and massively impressive wave clearing power. New Post Game Stat screen! It’s very pretty. Radial Communications! Makes communicating with your teammates MUCH easier. Lots of bug fixes. Every patch. If we ever DON’T say this, we just assume you know. Endless Boss Hero Roulette! Get a random boss Hero every time one is meant to spawn!